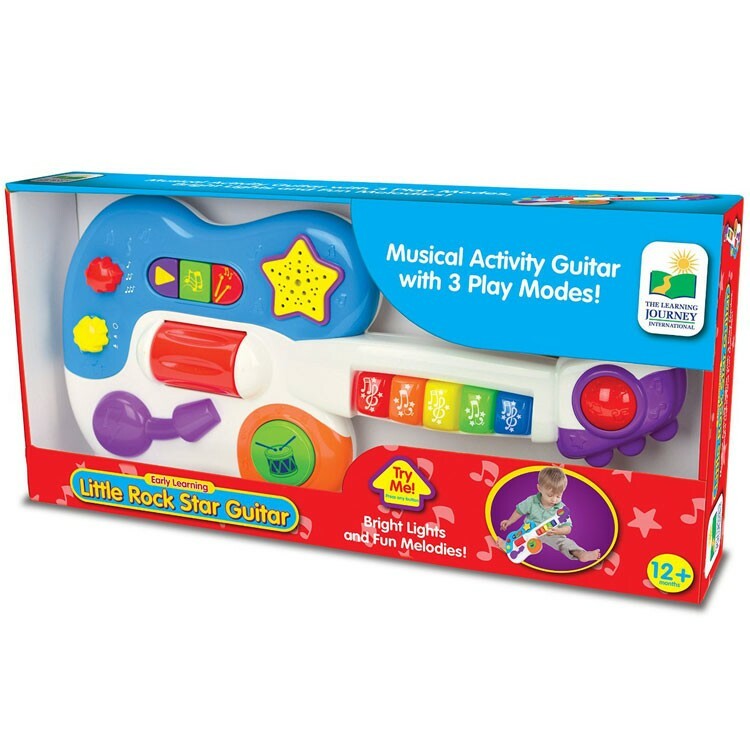 With multiple play modes and musical activities of this Little Rock Star Guitar, your toddler musical talents will be inspired! 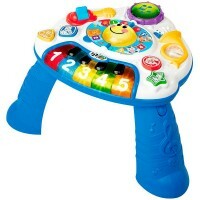 Let's rock on with this brightly colored kids electronic toy guitar! 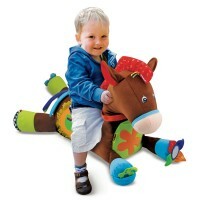 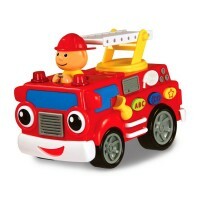 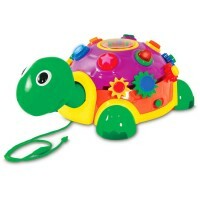 Little Rock Star Guitar Toddler Musical Activity Toy is a new addition to the Learning Journey's Early Learning toy series. 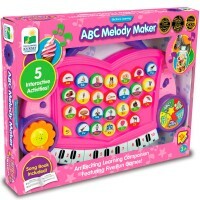 This toddler electronic toy is a guitar shaped musical activity board with 3 play modes. 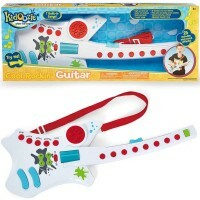 This play guitar for your little rock star comes with 3 groups of music, 5 light up buttons, whammy bar, drum button and more lights & sound effects. 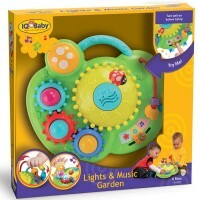 Bright colors, chunky buttons, fun lights and sounds of this musical center make the toddler rock stars to jazz up! 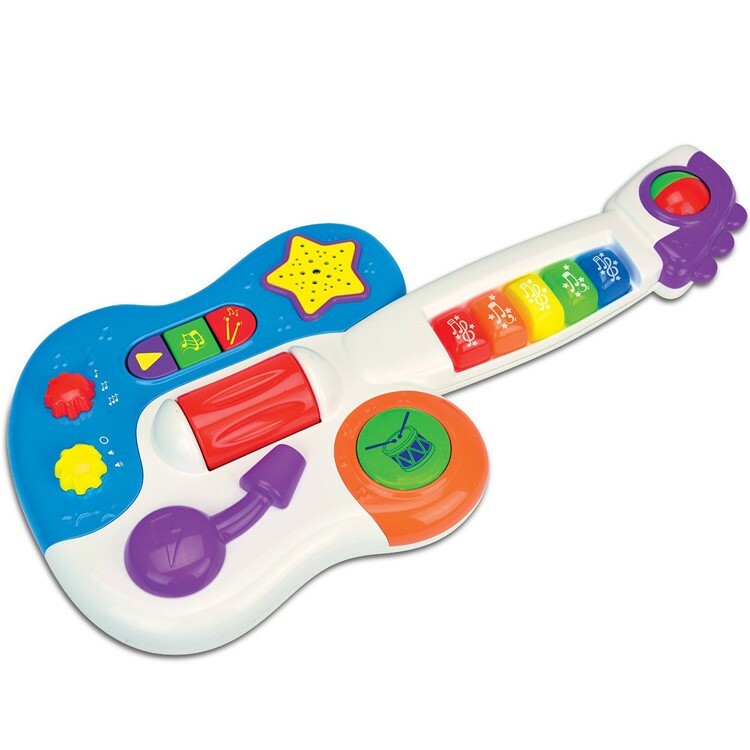 The parents will be pleased with the volume and on/off knob, featured on this Educational Toys Planet's musical toy guitar. 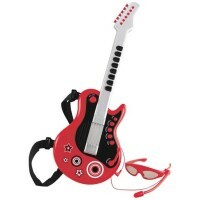 The interactive children electric guitar requires 3 AA batteries (included). 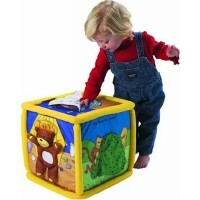 Dimensions of package 1.5" x 15" x 7"
Write your own review of Little Rock Star Guitar Toddler Musical Activity Toy.